You are currently browsing the category archive for the ‘Microsoft’ category. 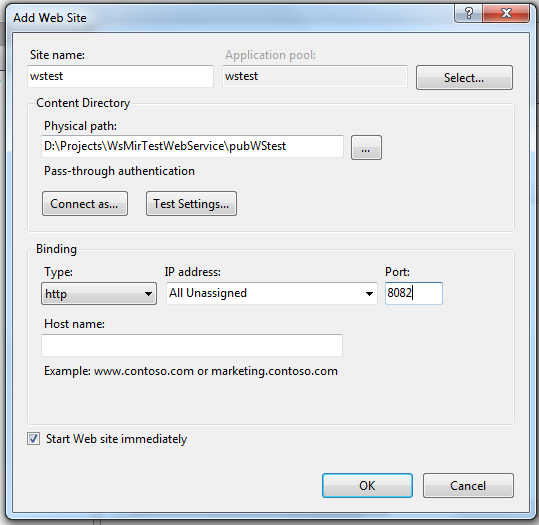 Creating a simple dot net web service. The reason for writing this article is that a lot of people have published too many articles on creating web services and making it simple but non is actually simple. Almost all of those article focus on the boring theory and functionality of the web service and not on actually what we least require to create a simple web service. Beginners to web services like me get confused in the functionality and un necessary theory. With this confusion the actual cause of creating a very simple web service dies. I have made it very simple to create a .net web service and my readers can extend this article like instead of addition they can put in what ever functionality they want in the WebMethod to get this web service work for them according to their needs. When ever we create a web service we need some part of it to be accessed from outside. So that we can call it and make it do something for us. to make a method accessible to the outside world we need to add [WebMethod] Attribute on top of that method. The method that we need to expose to the outside world must be public. The file that we need to call is the one with “.asmx” extension to execute our web service. We can have a private method in our web service that can be called from with in our public method. Like we can have some classes that will have some method that will do some stuff for us. To get access to that functionality of those method. We need to call those methods from our public method by creating objects of those classes in the Service1.asmx file and calling those methods through those objects. Now Coming To The Real Stuff. 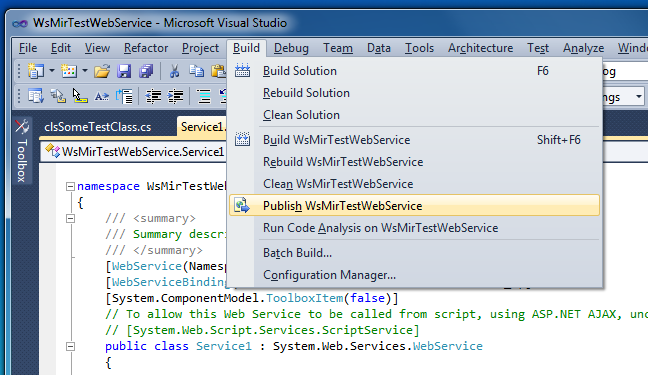 Open your Visual Studio and click New Project (Section 1 in image). From the left side panel choose C#(Section 2 in image) , Web(Section 3 in image). 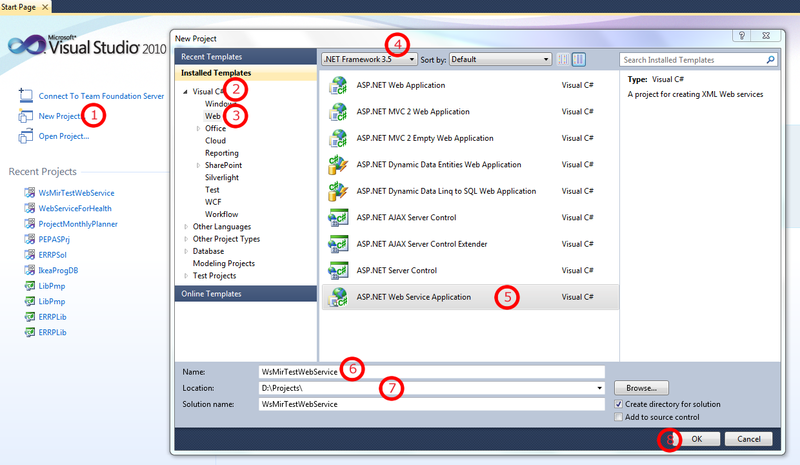 From the Framework selection dropdown at the top select .Net Framework 3.5 (Section 4 in image) and from the list below that select ASP.Net Web Service Application (Section 5 in image). Give the name of the web service application (Section 6 in image) and the location (Section 7 in image) where it will be saved. Click OK (Section 8 in image)to create the project. 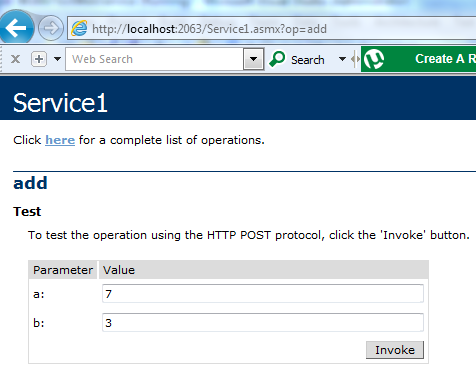 Now when we run our web service, we will see Service1.asmx in brower with all our WebMethods. Currently we have only one method i.e, add. Clicking on the add link will take us to the second screen where we will supply two values to our WebMethod and will click the Invoke button to execute the add method. WebMethod add executed. The method expects two values, a and b. We provide two values 7,3 and click Invoke button. This will execute our WebMethod add and if our method is returning some value it will show us the returned value. Returned Value of our WebMethod add. The above link can be used to publish the created web service. A generic error occurred in GDI+ exception. (saving images, asp.net, C#). I encountered this error while i was creating charts in asp.net using C#. The charts used to work fine in visual studio but when i published the website and tried to access the site through localhost (http://localhost/mysite/charts.aspx) it gave me this error. I’ll cut the crap and come straight to the point. The error was caused because ASP.NET machine user have no write permissions where my charts control wanted to create images. I am using windows xp. I was looking for a way to give write permission to asp.net machine user on the charts folder in my website but there were no such options available in xp. To enable these option go to “tools” than to “folder options” than click on the “view” tab. 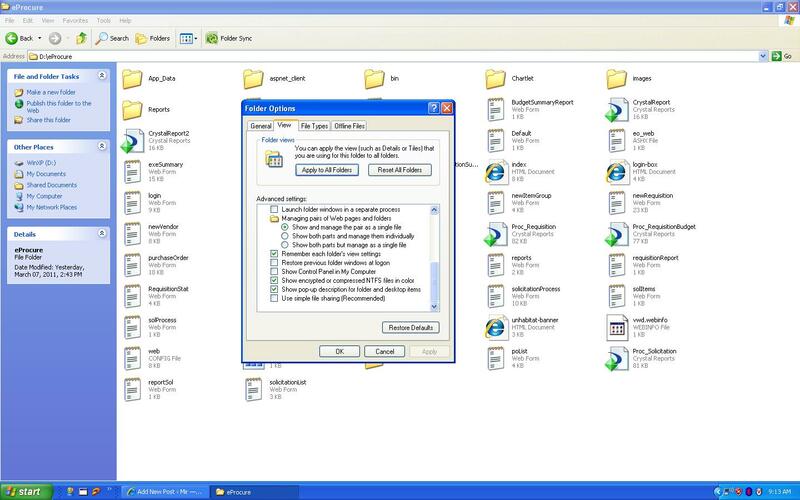 Now scroll down and uncheck “use simple file sharing”. 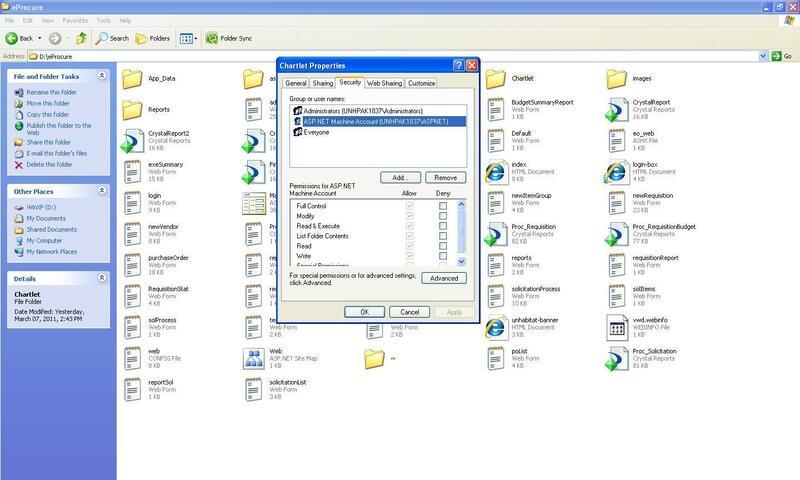 Uncheck "Use simple file sharing"
After this right click on ur charts folder where the images are supposed to be saved. Click on properties. Click on security tab. Add ASP.NET machine account user and give full rights. Click ok and check your published website charts. It will work fine. The next problem that I encountered was when I was trying to publish the same website on our Server machine running Windows Server 2003 to make it accessable through live ip. I repeated the above process and gave “ASP.NET machine account” user full rights but still the charts didn’t worked. The problem was solved by giving “Users” account write permission in addition to the ASP.NET machine user account on the charts folder on the server machine. Sending emails through ASP.Net2.0 is very easy. Just a few lines of code. But when u get an error you will be surprised. So before you write up the few lines of code you have to do the following. 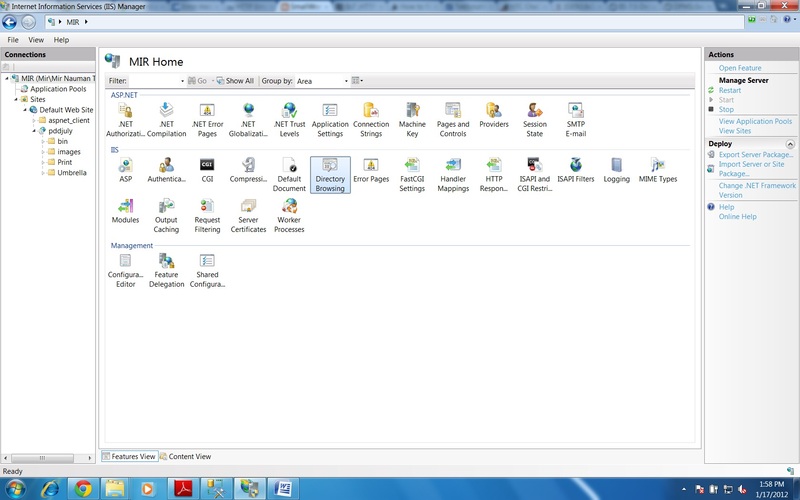 Configure IIS for sending emails. Its simple not a big deal. Check if SMPT is already installed. 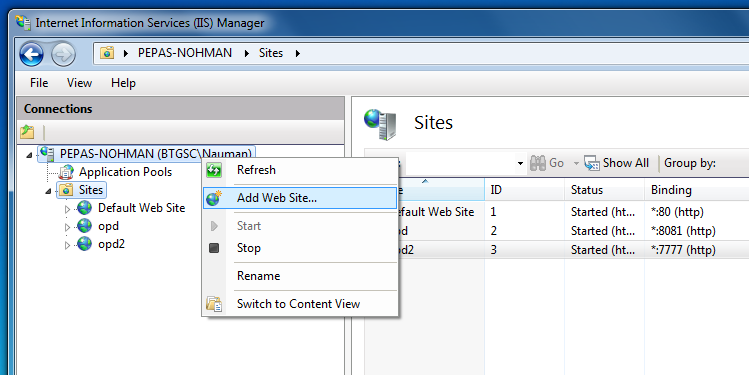 If not installed than go to Add Remove Windows Components and double click IIS. Click SMTP. Install it and restart your system. Now your local web server is ready for sending emails. The next thing is the coding part. Add this line of code to the top of the page. To send an email you need the following parts of an email. Run the code and check your email. I hope you will not encounter those errors saying “Mailbox not found” etc etc. Before I can proceed with this tutorial I assume that the reader has already developed a report in crystal and has loaded it in crystal report viewer control. Running the website and the report page prompts the user with something like this. Now we don’t want to give login information every time we try to run this report. Its annoying . so what we need to do is to do something with the help of which we can get our report perfectly without this stupid prompt. To solve this problem we will provide the login information programmatically so that our report page don’t prompt us for it. To solve the problem I have done the following. Add the following code to the top of the report page. Now in the Page_Load() event write the following code. Or we can write this code in any other function and call it when we want to provide the login information. Save the page and run the report. This time it will not prompt for the stupid logon information. If some one wants a very basic article on how to create a report and how to call it in asp.net. plz leave your comments . I will write a basic tutorial for creating a crystal report and calling it from asp.net. Note:- Plz leave ur comments if this article was helpful. I tried a lot of tweaking , messed up a lot of thing but nothing worked. Finally the problem was solved as follows Type “cmd” in RUN. Go the following location. this command installs the version of ASP.NET that is associated with Aspnet_regiis.exe and updates the script maps at the IIS metabase root and below. Only the script maps for applications that use an earlier version of ASP.NET are updated. Applications that use a later version are not affected. 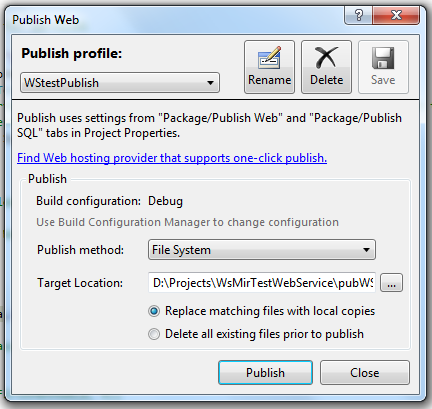 this command removes the client-side scripts for ASP.NET from the aspnet_client subdirectory of each IIS site directory. Only the client-side scripts for the ASP.NET version associated with Aspnet_regiis.exe are removed. Restart the system and check the website as http://localhost/epro/login.aspx and the site is functional. Please leave your comments if this helps.